Search Engine Optimization is a smart, economical and very effective way to advertise and market your business. In today’s world, the Internet plays an important role in every aspect of a person’s life, be it personal or professional. Therefore, it is extremely crucial that you have a very strong Internet presence in order for your business to be noticed by prospects. SEO is a valuable tool that allows you to direct the flow of traffic to your website. There’s no point in having a company website if no one sees it, and owing to the vastness of the web, there’s a huge possibility that you’re website goes unnoticed each day. Optimizing content on your website ensures that your web pages appear on various major search engines so that new users can become aware that your site exists. However, merely appearing on major search engines like Google, Yahoo!, and Bing is not always enough. It is crucial that your website ranks higher up in the search engine results page for any thing major to take effect. Most often than not, people have little patience for choices when it comes to gathering information from the Internet that they don’t even bother scrolling to the end of search engine results pages. Hence, the higher you rank on a search engine, the greater amount of traffic you can direct to your website. There are two major components of SEO – On-site and Off-site. On-site SEO is making changes to the content on your site to increase your website ranking on search engines like creating Meta Tags, Alt Tags, H1 tags, and linking it to other internal elements for content optimization. Off page SEO is submitting your website content and URL onto other websites so that traffic is directed to your site through them. This includes submitting articles to directories, posting them on blogs and sharing them on social networking sites. Both these components are important to increasing the overall effectiveness and visibility of your website. In an attempt to make your website look visually appealing, you sometimes forget to make it also search engine friendly. One way to make sure that search engines pick up your site is to make sure you have lots of unique content directly placed on the site. While pictures do attract users more than content, they do not help search engines to pick up your site. Valuable and well-written content is absolutely crucial for search engine optimization. This doesn’t mean however that you would do away with pictures completely, but try to keep them as minimal as possible. Using a selected bunch of keywords is not very helpful to your campaign as well. You need to use properly selected keywords that search engines will pick up on and are most relevant to your site. Use words as it were from a reader’s perspective. Think of words that your prospective readers would type in to look for information and will direct them to your website. One other important rule is it is important that you don’t spam the keywords in your content/site. In other words, don’t overuse keywords in an article. When you look up something through a search engine, it usually produces results with a small paragraph describing the content of the webpage. This is known as the META and META description tag. If you add these tags to all your pages, it increases the chances of your website being picked up by search engines and displayed more prominently. Google, one of the most popular search engines uses a trick known as “link popularity” while picking up websites. The more links there are on the Internet that redirect users to your website, the higher are the chances of Google picking up your website and placing it higher on its search result pages. Having a simple URL is another important criterion when it comes to search engine optimization. 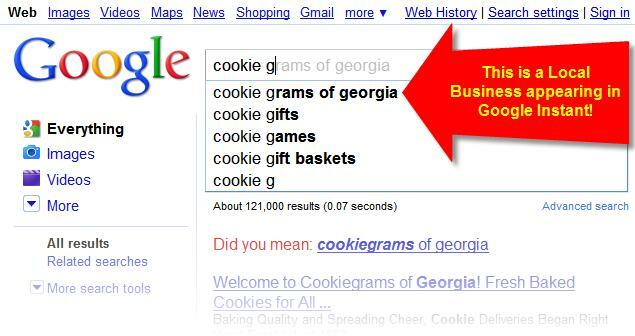 Make sure it includes keywords that describe your website properly. This makes it easier for search engines to understand what your website it about and pick it up whenever a user is looking for related information. The Internet is also flooded with tools that can help optimize your website content. This, in turn, can be used as an effective marketing tool as search engines not only direct traffic, but targeted traffic to your website, resulting in more business, higher visibility and greater profits. If you are not familiar with SEO techniques, it is always advisable to seek professional help. Many companies specializing in search engine optimization offer their services at affordable rates. You can check pricing and their offers online.